The idea behind Sleep Better is simple: before going to sleep at night, start an SB session. Put the phone on the bed next you, and let the app do the rest. 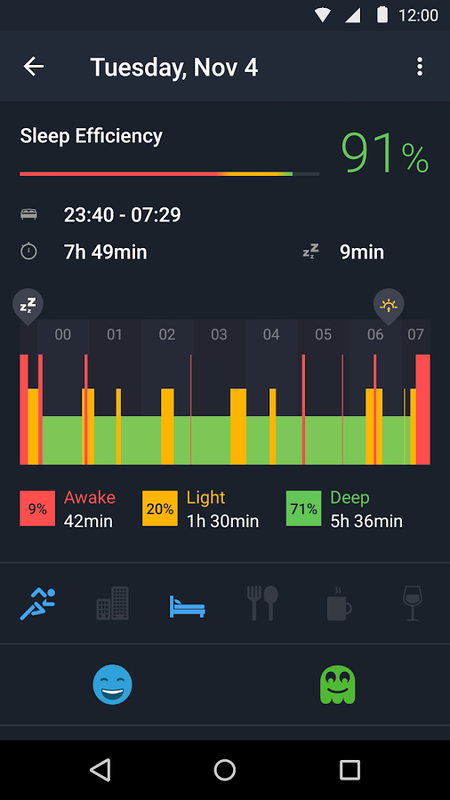 It includes a way to specify things that may affect your night's sleep, like if you worked out that day, had a stressful day, are sleeping in a bed other than your own, if you ate late, or had caffeine/alcohol. This allows users to better identify controllable elements in their life that may be impacting the quality of sleep they get. For example, you may find out that drinking caffeine past 6:00 or 7:00 PM causes restlessness at night. On the opposite side of that, working out during the day may result in better sleep. 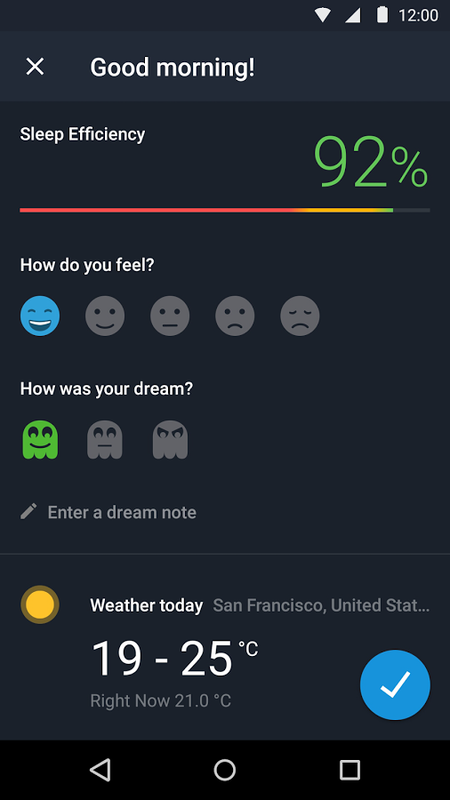 Sleep Better also tracks things like moon phases, as well as offering a dream diary, allowing users to keep up with how often they have good, bad, or neutral dreams. Lastly, Sleep Better has a built-in smart alarm that uses your sleep cycles to wake you at the opportune time. You can set the time you'd like to be awake by, and SB will do the rest. It will choose the best time within a small, user-definable window to sound the alarm. 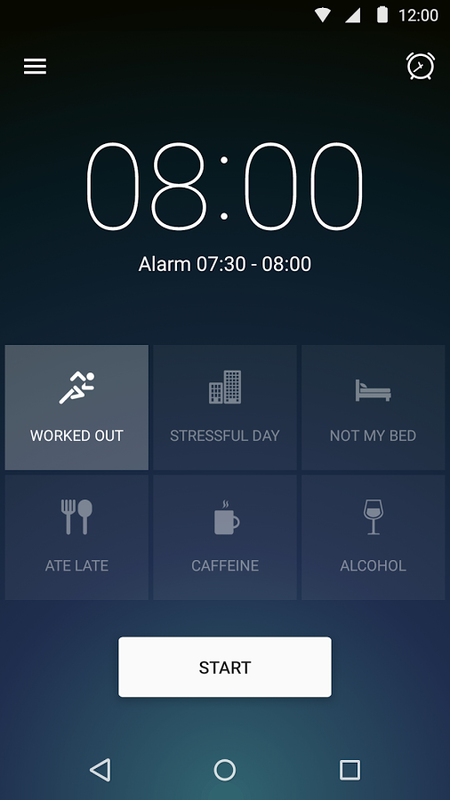 Sleep Better with Runtastic is a free app in the Play Store, but will set you back $2 to unlock all the features.